You know there is a new adidas pack on the horizon when you start to see key players wearing them in training. 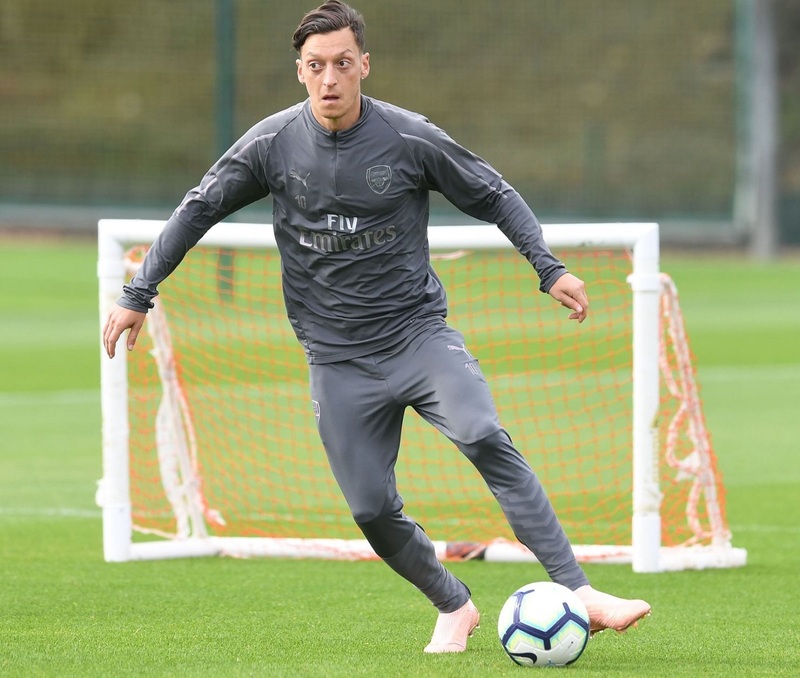 This past week it was Mesut Özil who took a pair of “Pink” Predator 18+ out on the practice pitch. Rather than being a light bright Pink blast styled colorway, adidas is using a softer salmon or peach tone to highlight the upcoming Spectral Mode Pack. The Predator silo has seen a serious resurgence over the past year, with both the laceless and laced version finding their way on different style players. 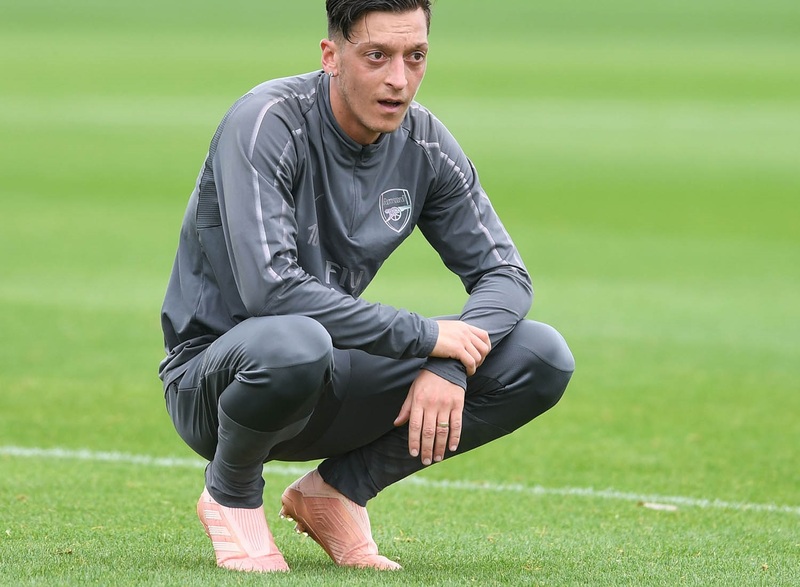 Özil is all about laceless and the 18+ football boots right now. Over the weekend vs Newcastle, he wore the original Predator Black version. Expect to see him take this latest Spectral Mode version into game this week when Arsenal take on Vorskla in Europa League action. Stay tuned for more details on this latest pack as they are released!